I have been wanting to make an Infographic Christmas Letter for a while. I first saw them a couple of years ago. This year when The Hubs and I decided not to do Christmas cards, but to do a letter instead I figured it was the perfect opportunity to make one. 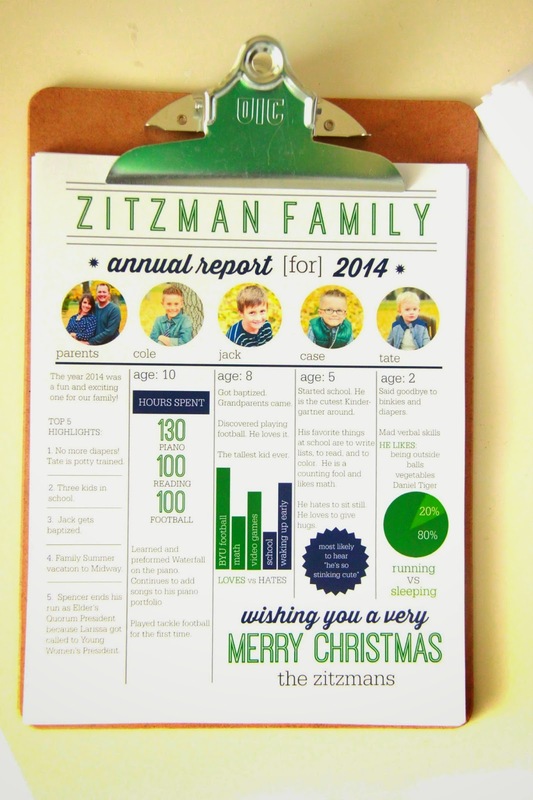 I searched around and finally settled on THIS design that I had pinned to my Christmas Board last year. I recreated the letter using PicMonkey. It was a little bit of a labor of love. However, it was doable. 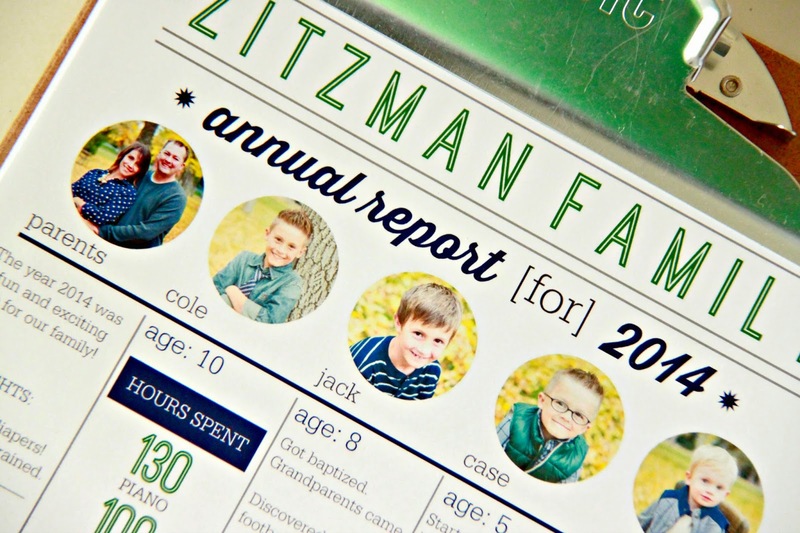 I primarily used the shape cut out frame, choose own overlay, and geometric overlays to make everything you see. I used three of my favorite fonts-- Thirsty Script Bold, Ostrich Sans Inline, and Egyptienne Light. One of my favorite things about this letter is the individual circle pics (circle shape cut out over the photos) and the columns of information. 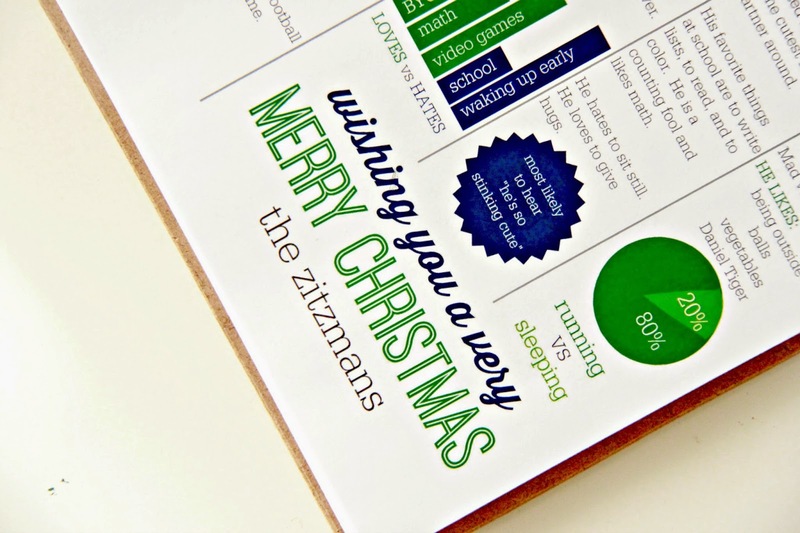 When I was all done making our Infographic Christmas Letter, I sent it to Staples to have them print them off. The quality is insane and I am so glad I choose to do that over printing them off myself. Overall, I am happy we decided to do a letter this year. At first I was bummed we weren't going to do Christmas cards, but then when I started my creative juices flowing I really enjoyed making this letter. Now we will have to wait and see what I do next year. I also should probably get these in the mail now. Ha! Here's to hoping they get where they are going before Christmas. This year for Christmas we have been trying to do a lot more little acts of service and kindness. There are so many people who serve us and deserve our thanks. A lot of them we really hadn't thanked. So we made a list of people we wanted to thank for Christmas. One of those people was our Mailman. 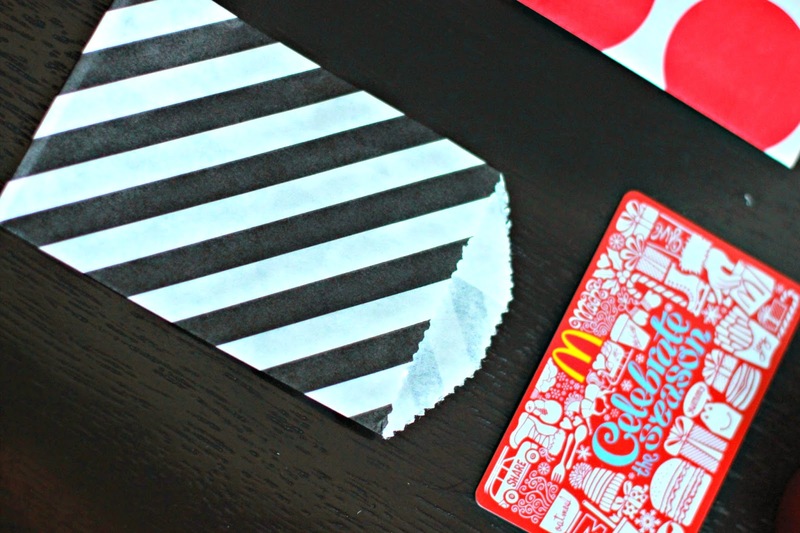 I gathered up a few cute paper bags, some washi tape, and a gift card. 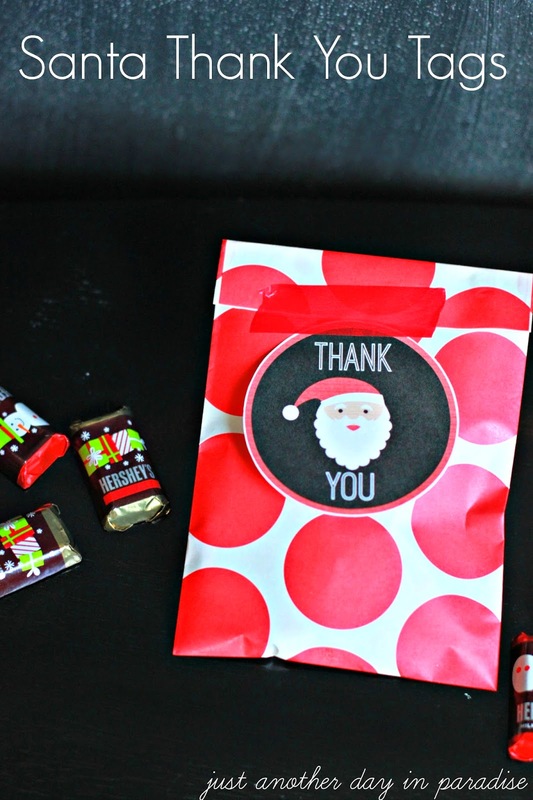 I also made up these cute Santa Thank You Tags using PicMonkey. 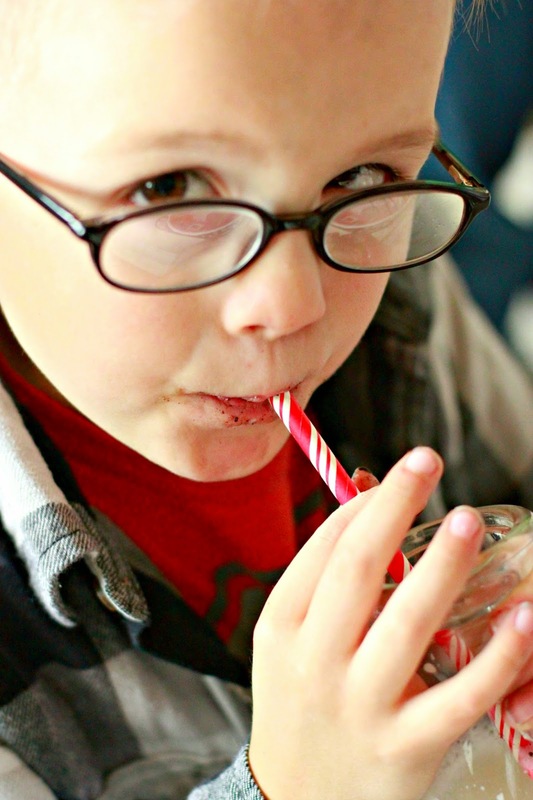 PicMonkey has some ridiculously cute holiday overlays. 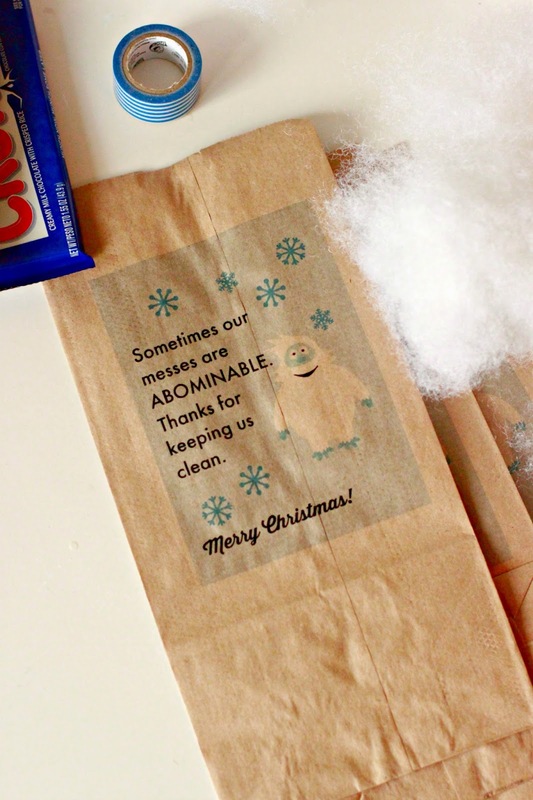 I have used them in our Garbage Man Thank You and for our Dear Santa Letter. Basically I can't get enough of all the holiday goodness. I also threw in a few pieces of chocolate, because well chocolate is always a good idea. 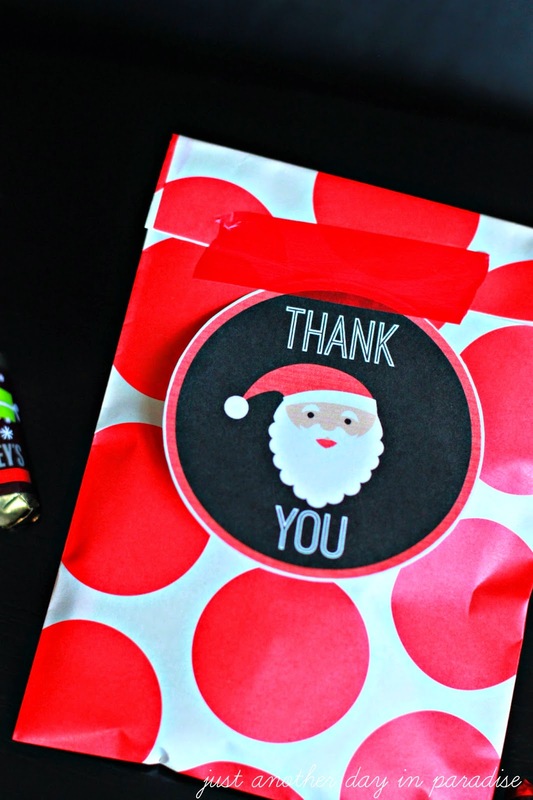 These Santa Thank You Tags are generic enough that they can be used to thank anyone. All you need to do is right click on the photo below and open it in a word document. Then print and cut out. Now all we had to do was leave it for our Mailman for a little holiday cheer and thank you. Who do you want to thank this year? Welcome to another Slow Cooker Saturday. 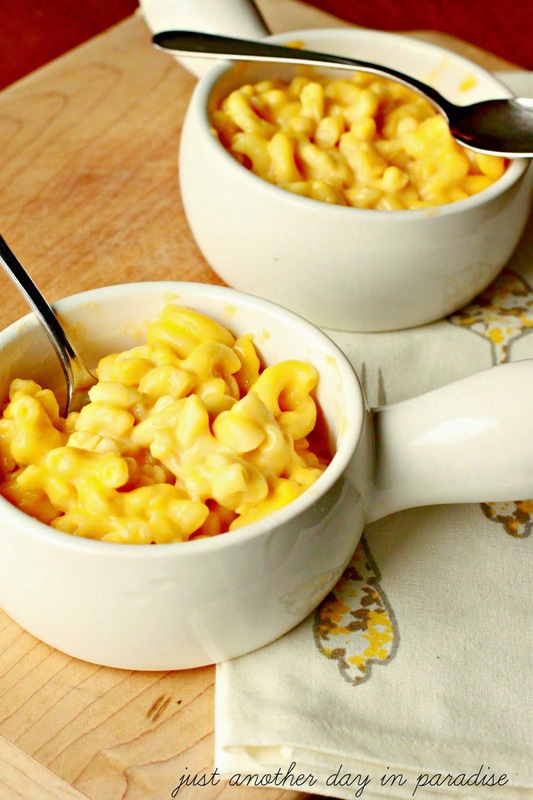 Today I am sharing our most favoritest kid friendly comfort food--Slow Cooker Macaroni and Cheese. My Little Men love, love, LOVE macaroni and cheese. In a pinch, we go for the every familiar blue box. While that little blue box is just fine, homemade macaroni and cheese is WAY better. My boys are always amazed with how much bigger the macaroni noodles are in homemade versus the box. They kind of think I am magical. Who am I kidding? I am. Ha. Okay maybe I am not the magical one, this Slow Cooker Macaroni and Cheese is the magical one. This recipe is cheesy, creamy, and full of traditional flavor. This mac and cheese is great right as is it done and it is glorious reheated. That is a full on stamp of approval from me, since I am not a left over fan. All my kids loved it. They did keep asking me why it wasn't bright orange like boxed versions. I didn't have the heart to explain chemical coloring and all that jazz. I just told them the box had color added, but we had flavor. I am pretty sure they didn't understand. That didn't keep them from scarfing it all down though. So win for me. Win for them. Win for everyone. 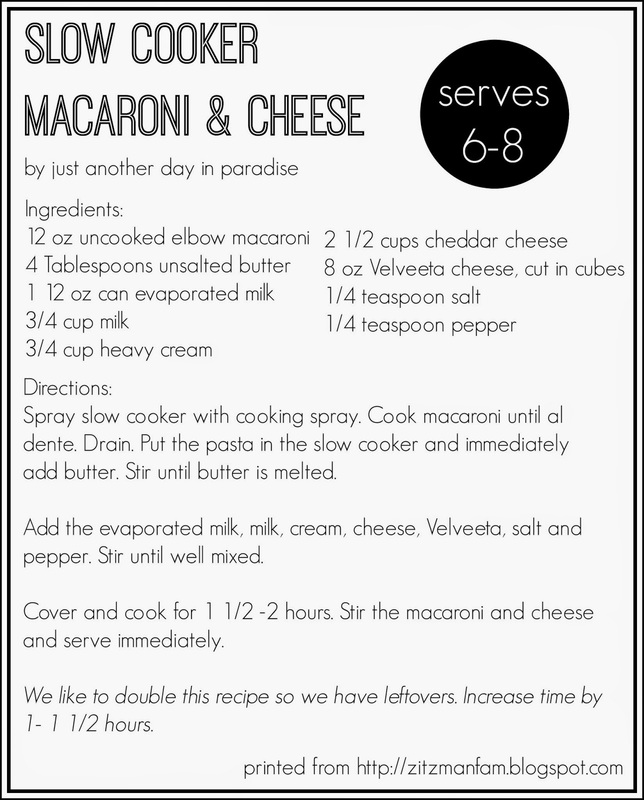 This Macaroni and Cheese is perfect for a chilly day, a busy school day, or really any day you are hungry and want something yummy. In my case, that is any day. Ha. Happy blustery day to you all. 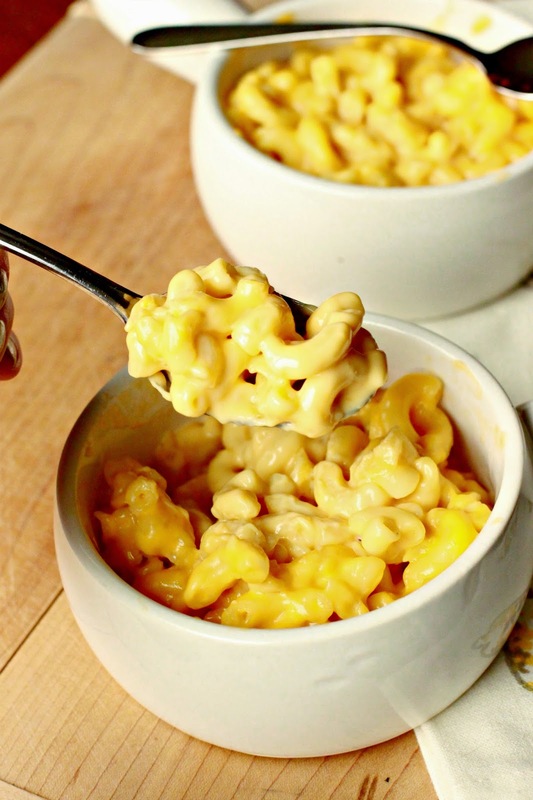 Enjoy yourself some ooey gooey Slow Cooker Macaroni and Cheese. 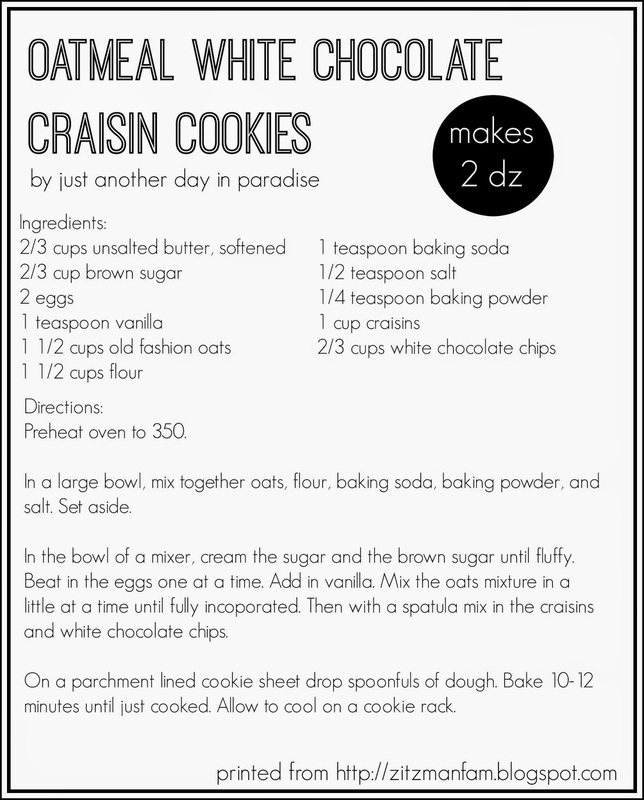 I first tried these Oatmeal White Chocolate Craisin Cookies years ago. In fact, every time I had them they were made by the same person. One of my favorite people to be exact. 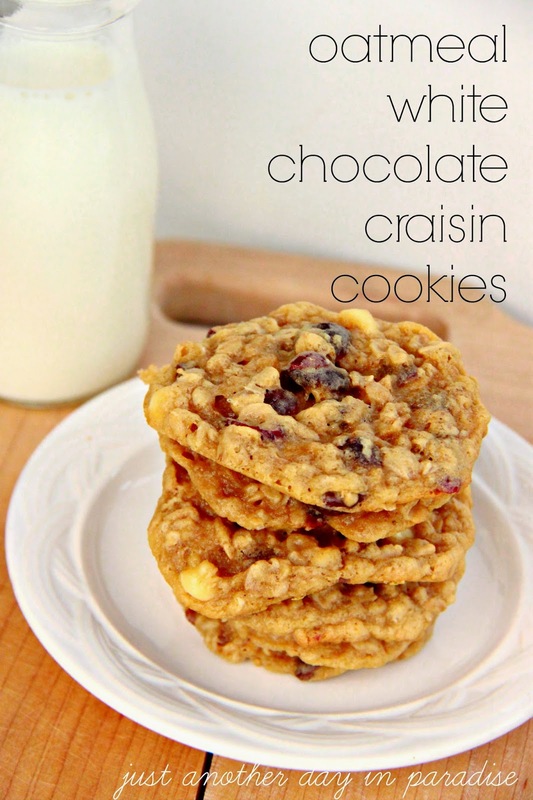 So because of that, these cookies quickly became one of my favorites. These cookies are so soft and chewy. Since the base of the cookie is brown sugar, the cookies are richer. The craisins add the perfect sweet tart combination. Man I really love craisins. They make just about everything better. 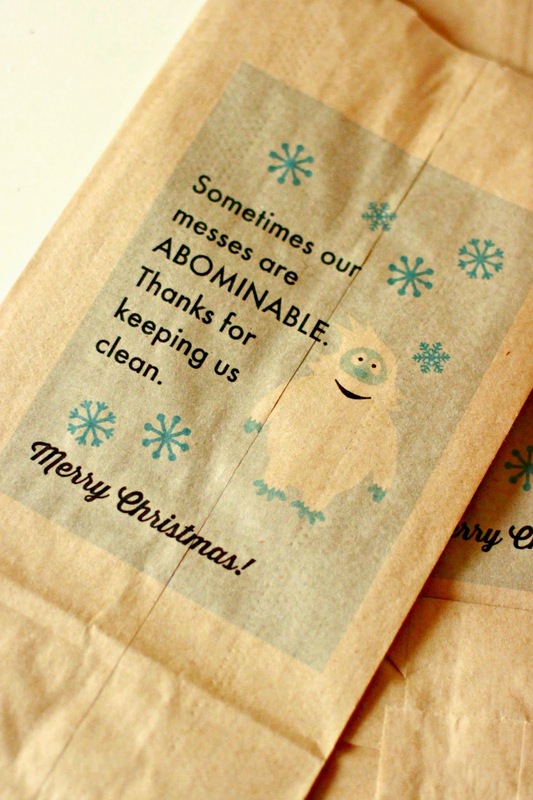 We just baked up a batch of these to give out to the boys' church teachers as part of our Christmas of Kindness 2014 (follow along with our Christmas of Kindness on Instagram- @larissa_anotherday). They are great Christmas cookies because they are different than the typical Christmas cookie. Oh, and not that it should matter, but these cookies are also pretty. Seriously you should go and make yourself some. While you are at it make some for your neighbors. They will probably take out your trash and clean off your windshield forever. 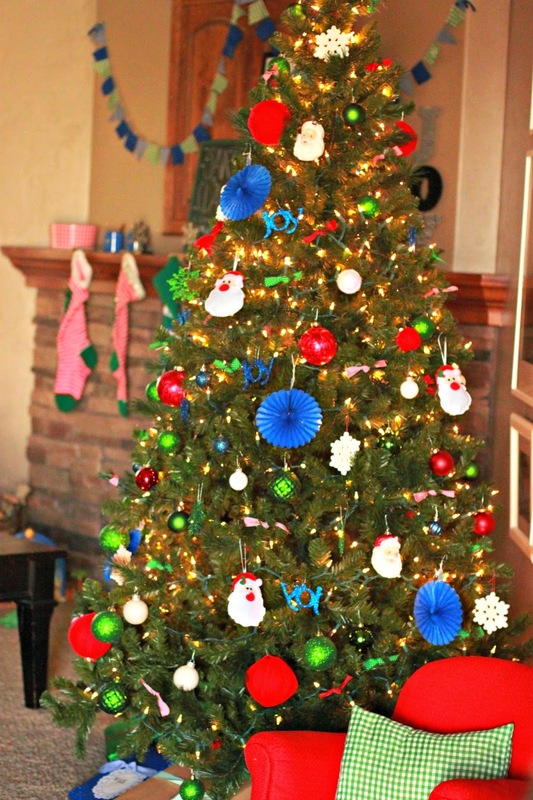 Christmas ornaments can come from anything. 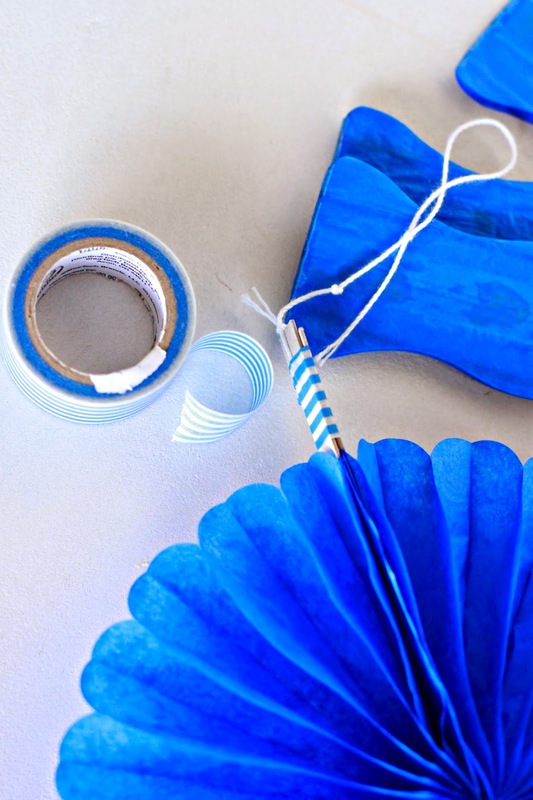 I love these paper fans. They are inexpensive and come in lots of colors. They easily turn into Christmas ornaments too. Seriously, how cute are these? I love how they add whimsy to my Christmas tree. 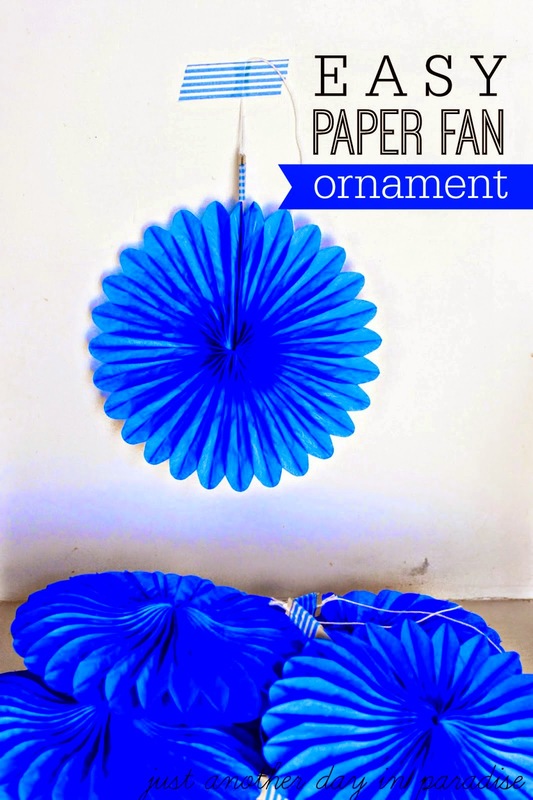 I only used two things to make these Easy Paper Fan Ornaments- Mini paper fans and coordinating washi tape. 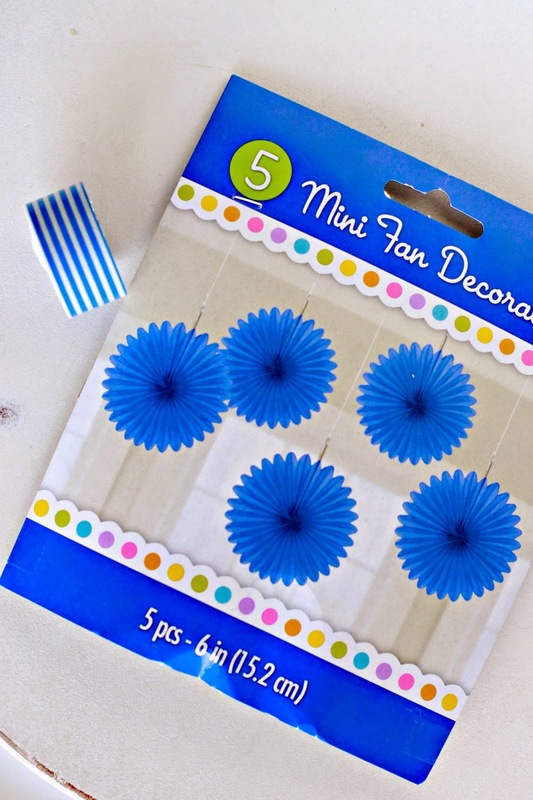 I picked up the mini paper fans at Zurchers Party Store. Then I raided my washi tape. This blue and white striped tape happens to be Duck Tape Washi tape that I grabbed from The Mart. 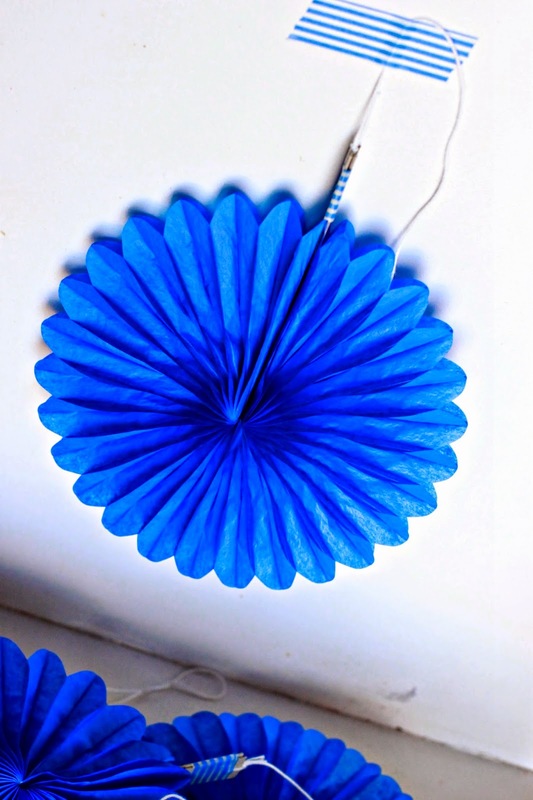 To make these ornaments, simply open the fan and tape closed with the washi tape. 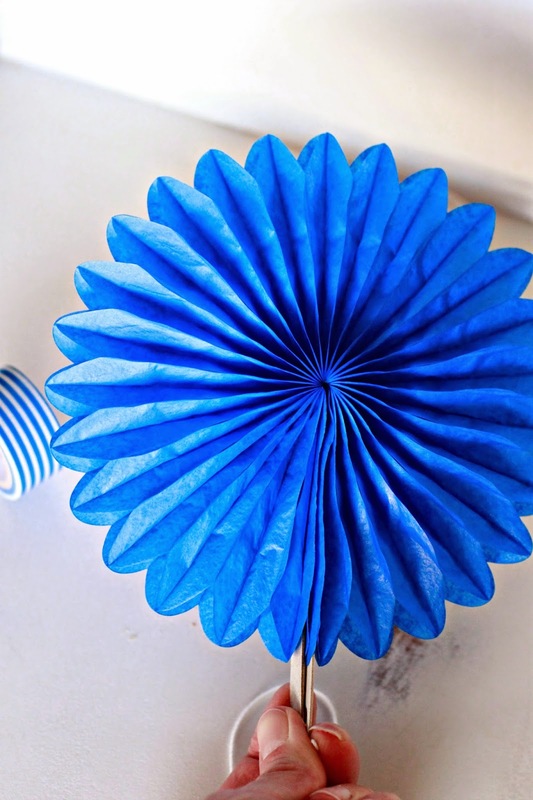 See how ridiculously easy it is to make these. I actually have made another whole batch since this post. 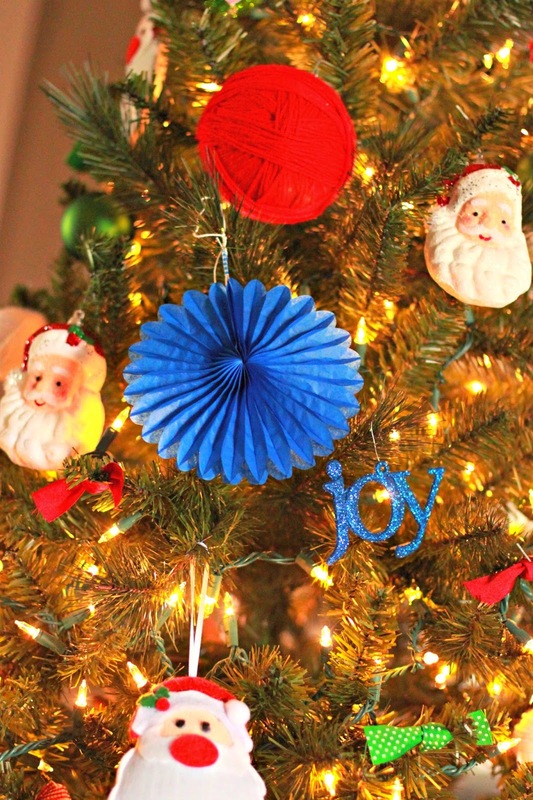 I think 10 mini paper fans is the perfect amount for my tree. Now all I need are some tissue honey combs in red and green. Hehehe. Maybe next year. 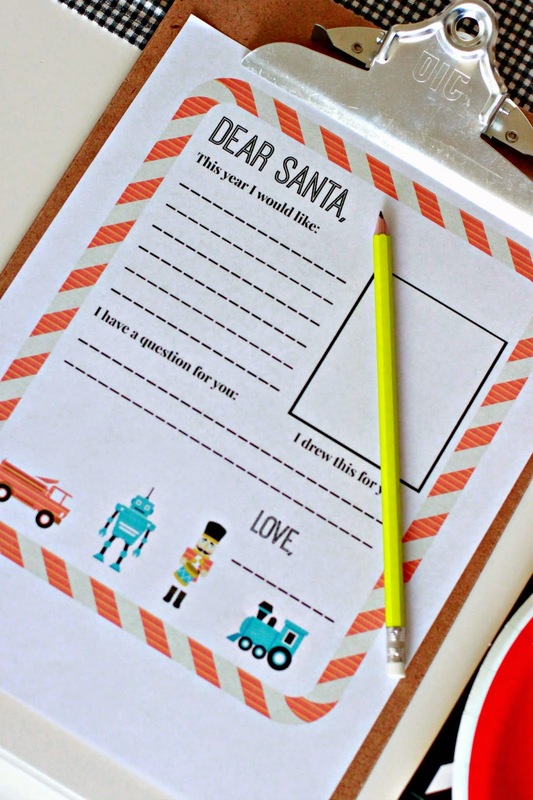 Last week we wrote our letters to Santa. I decided to make a party out of it. So the boys had a little Dear Santa Party. They wrote letters. 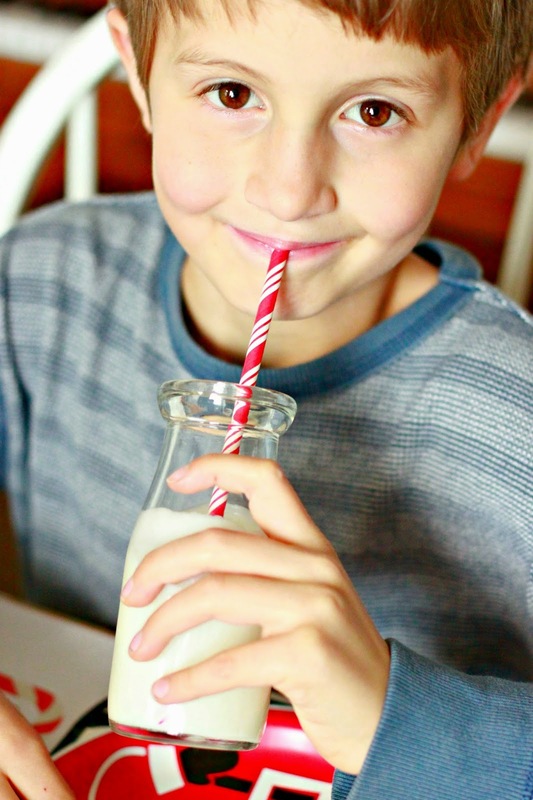 They sipped cold milk. They ate yummy treats. 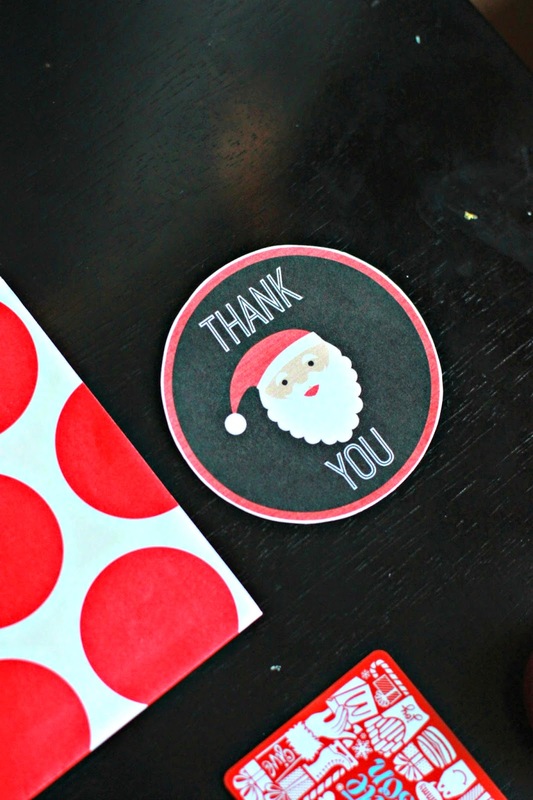 Last year I made up these Dear Santa letter printables. 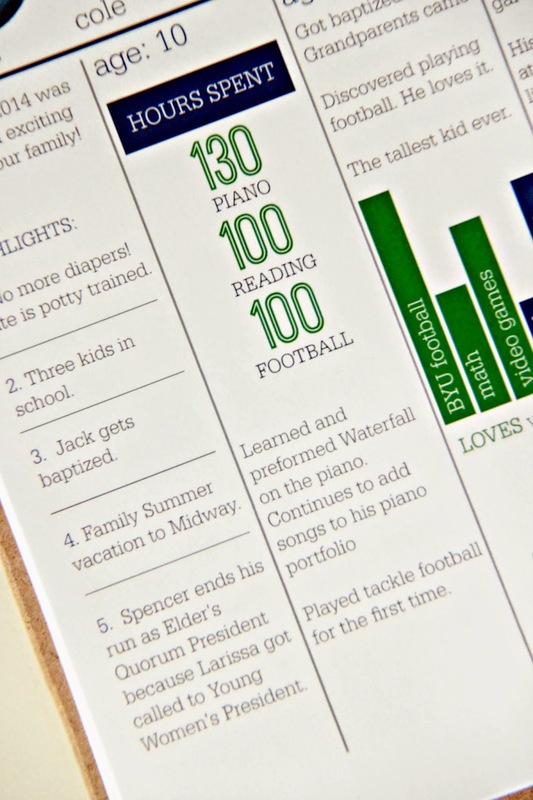 The letter to fill out is super fun and is easily used for older kids and younger ones. I made changes to the envelope image I made last year. Last year I found an address online that I had been told worked. Well, false. SO this year I did a little more research and found several options that work great. This address goes to a museum in Santa Claus, Indiana, where they have volunteers who receive the letters and will write a response back to any letter written before December 20th as long as the return address is readable. SO I made a new envelope image with that address. 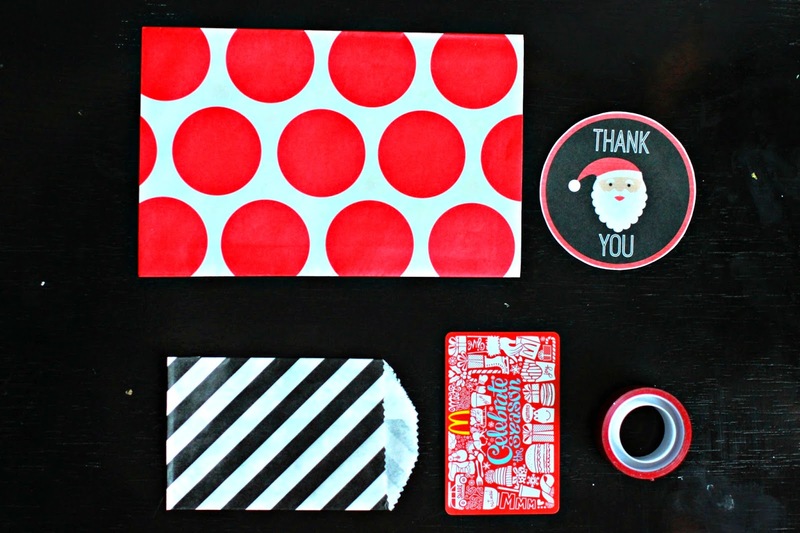 You can still use the first envelope design if it doesn't really get mailed. However, the new address can be mailed. 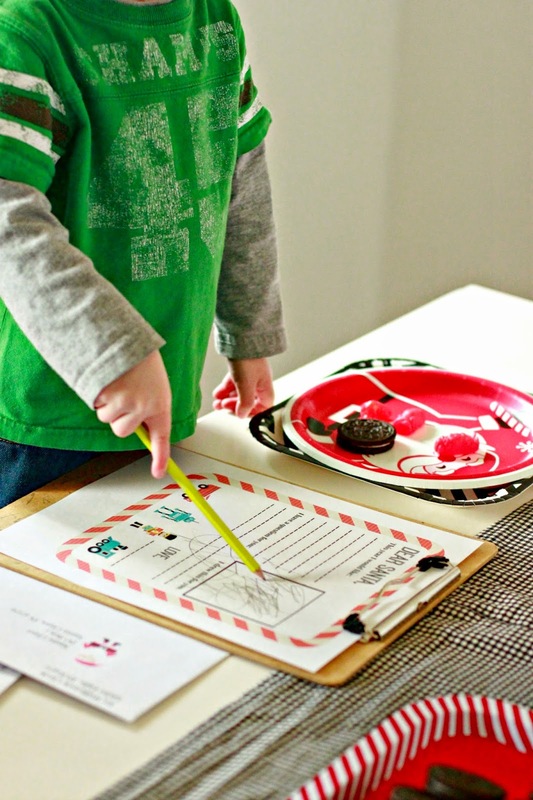 With letter and envelope in hand we were ready to start our party. I found these adorable paper products at Target in the Christmas section. 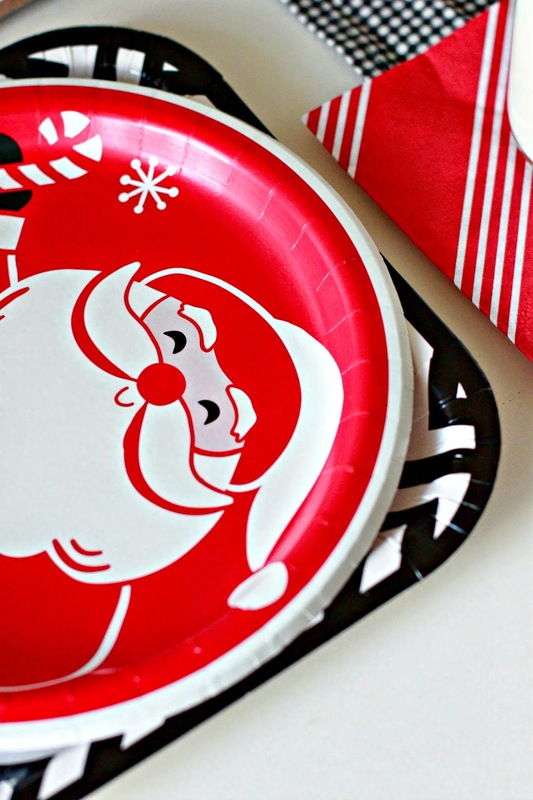 I matched up the straws, Santa plates, and napkins with a few things I already had around the house. 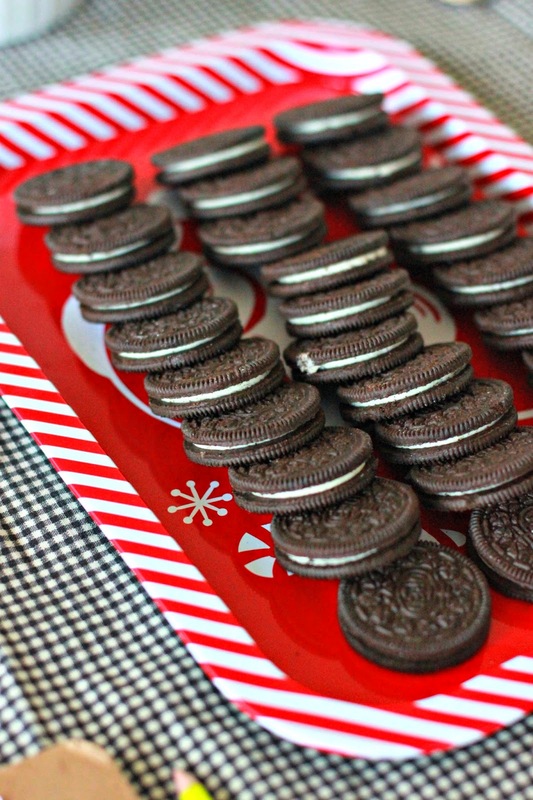 We served Oreos and cinnamon Santas. I think everyone had fun. From the littlest Santa believer. To the oldest believer in the Spirit of Santa, goer along to keep the magic alive for his younger brothers. This little party was waiting for them when they got home from school. 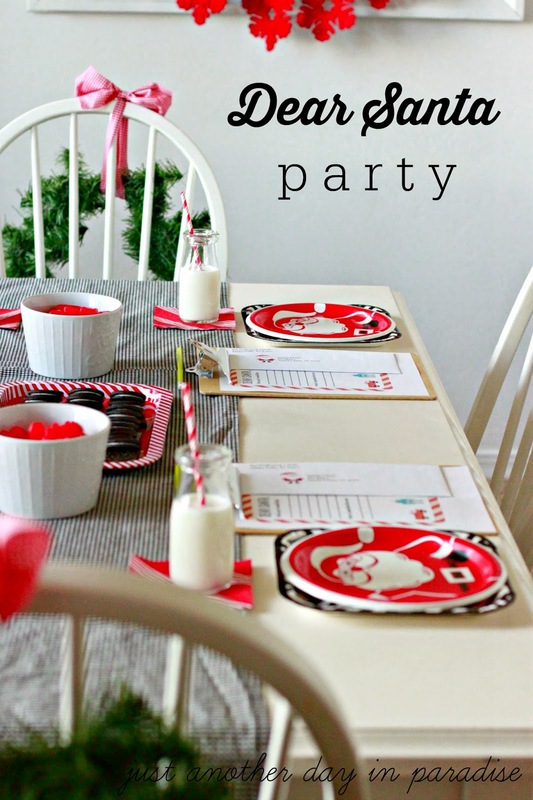 I had so much fun just putting together this simple festive Dear Santa Party. I think we have a new tradition. 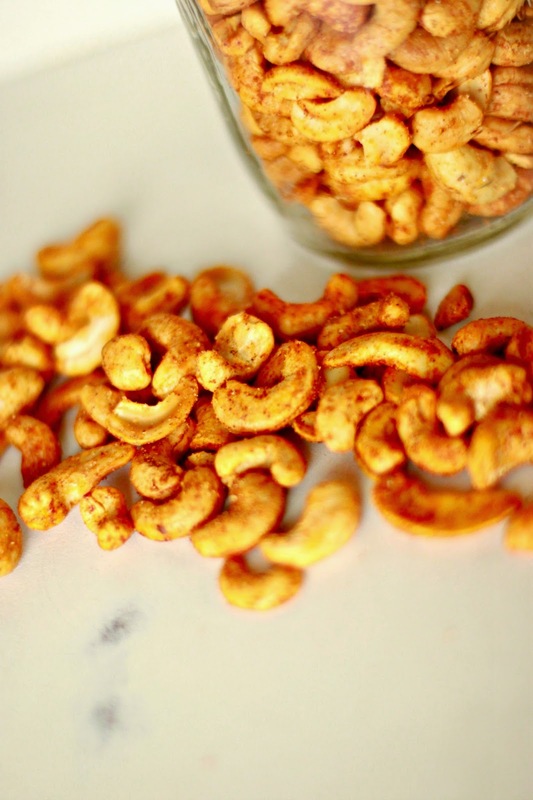 I cannot take credit for these delightfully yummy cashews. This recipe comes to you thanks to The Hubs. Over a month ago The Hubs came home with a bag full of cashews from the bulk section of our favorite grocery store. 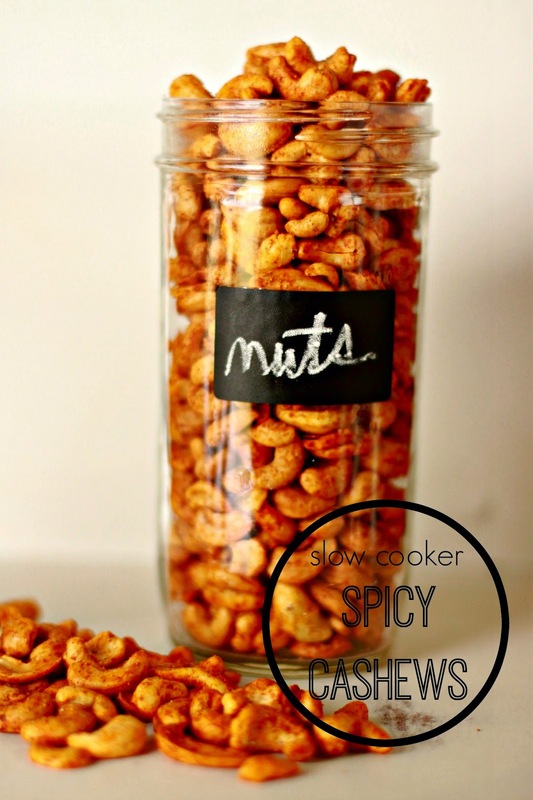 He declared he was making Slow Cooker Spicy Cashews. Okay husband. That sounds great. Scratch that. That sounds delicious. This guy I am married to often introduces me to the yummiest food. However, not matter how hard he tries, I am never going to willing eat peas. Sorry dude. Back to the cashews. These cashews has just the right amount of kick. The spices work together for this great smoky heat. And even though I know it shouldn't matter, the spices also give the cashews the prettiest color. 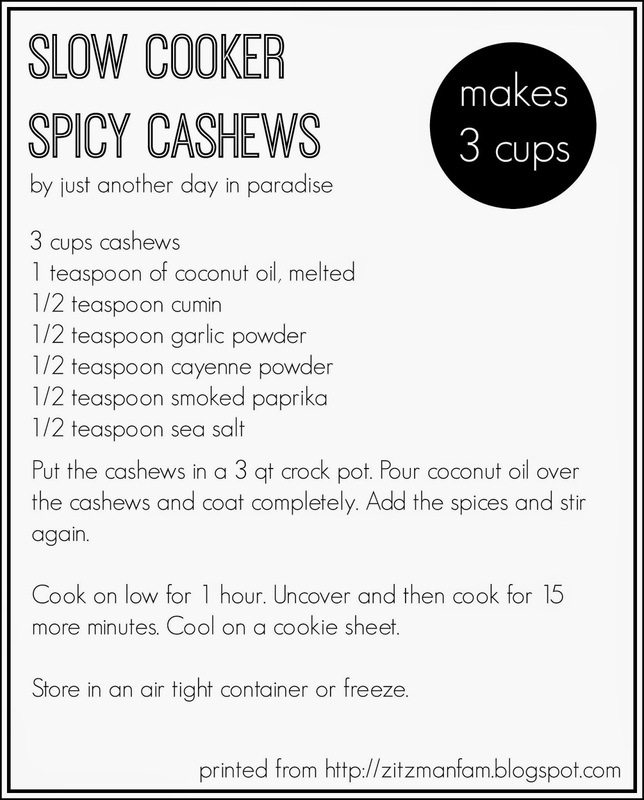 These cashews are done and ready to eat in under an hour and a half. They also store great. These cashews also make a great gift. Put them in a mason jar. Add a label. Write a note. You know something like, "We are nuts about you." You know how I like a gift with a cheesy saying. This Christmas we are trying to think of more opportunities to show kindness to those around us. We are trying to think of who we can thank or serve. It is our Christmas of Kindness. This week we decided to serve our Garbage Men. They work super hard. They work in the cold, the heat, and here, in the WIND. They heft our garbage filled cans. They heft our grass filled cans. To thank them we put together these gift bags. 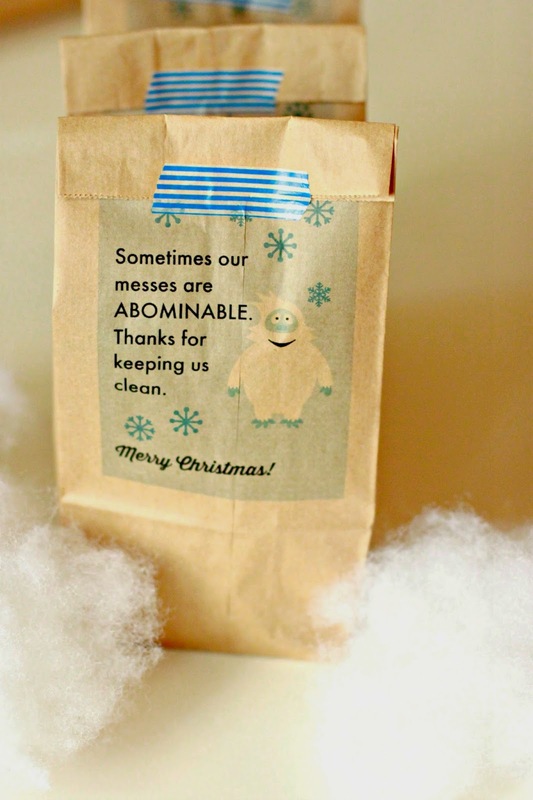 First I went to my ever faithful PicMonkey and made this graphic for our Christmas Thank you to our Garbage Men. 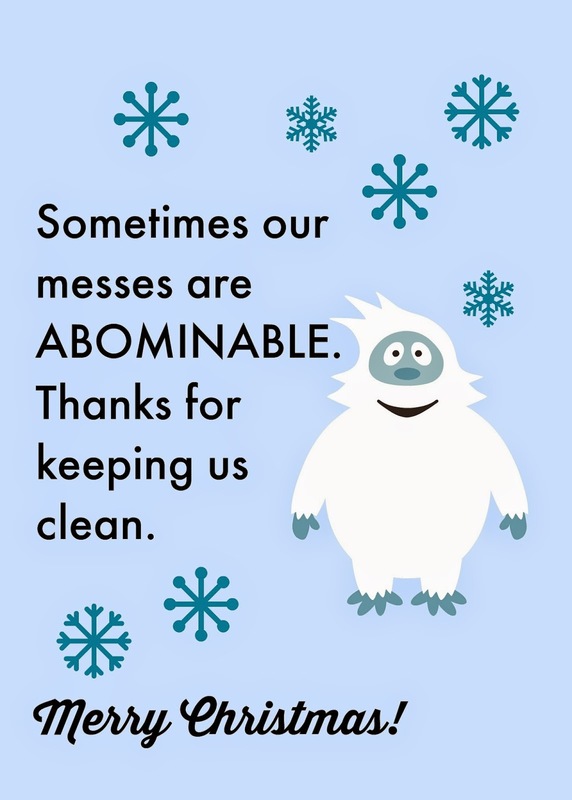 How stinking adorable is that abominable snowman? 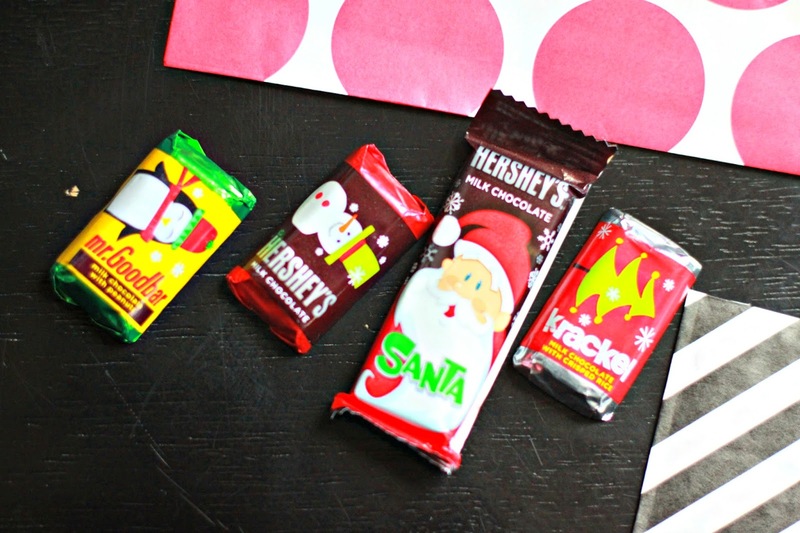 I just adore PicMonkey's Christmas overlays. I printed off the graphic onto brown paper lunch sacks. 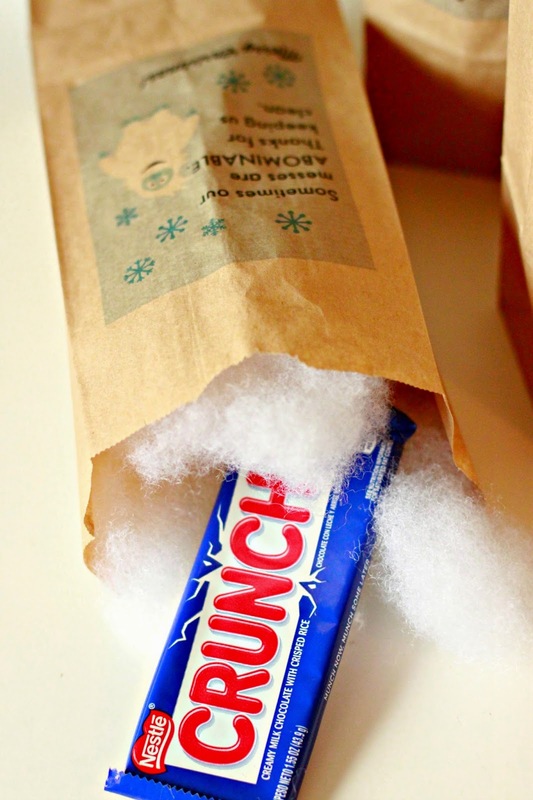 You can find my tutorial on how to print on a lunch sack HERE. You can also just print this off on a piece of paper and make a tag. 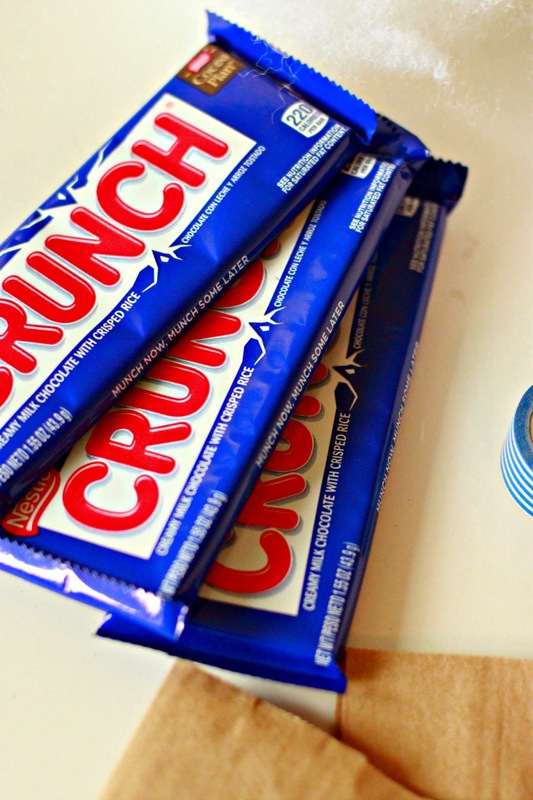 Since I have an obsession with matching colors, Crunch bars were a must. 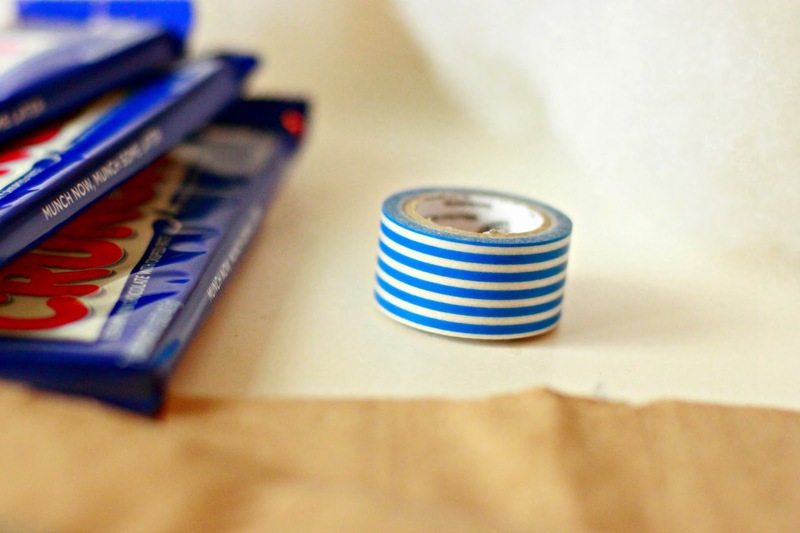 I also had some blue striped washi tape sitting around. 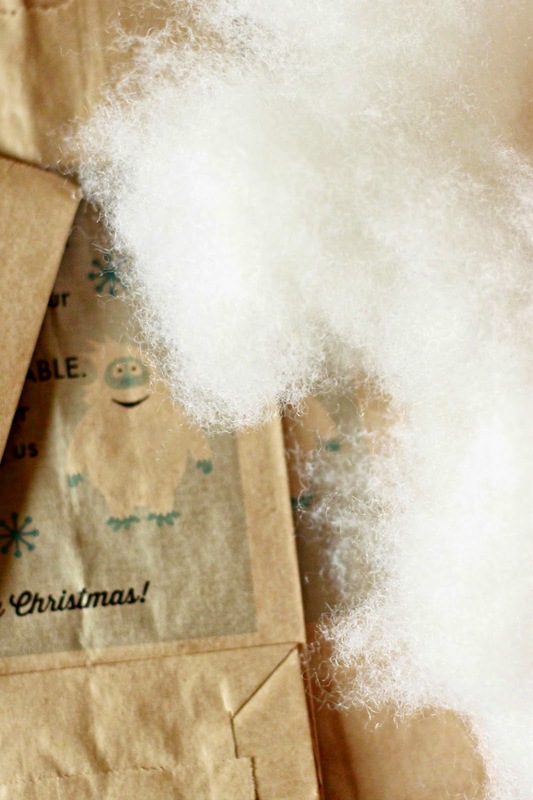 Another fun feature to this Christmas thank you, was the batting I used inside to mimic snow. The purpose was double fold. The batting also helped the bag stay upright. Hopefully we make the day of some Garbage Men. 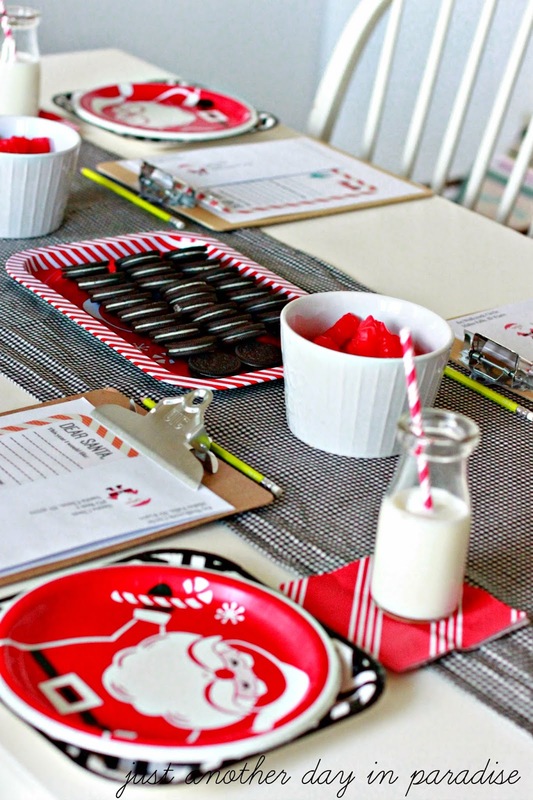 We have a couple more Christmas Service ideas in our Christmas of Kindness 2014 and I am excited to share them with you. 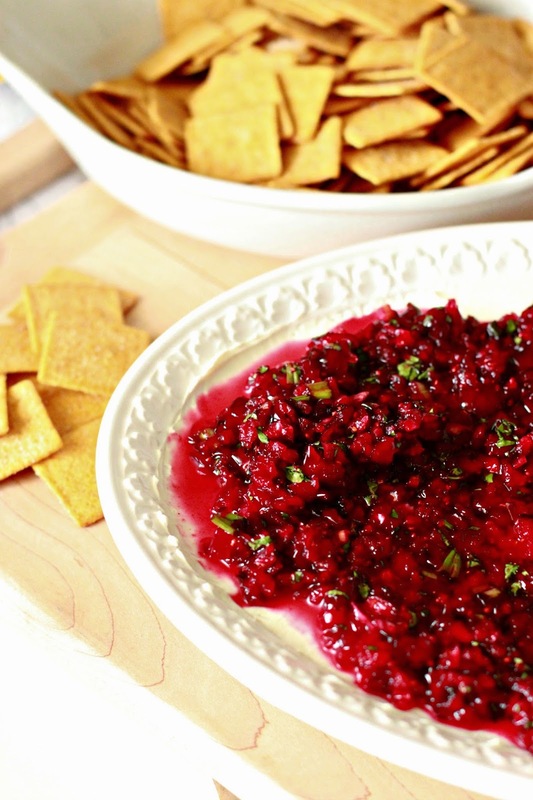 Tis the season for holiday parties, which means it is also the time for yummy appetizers. I don't know about you, but appetizers are always the hardest for me. I never know what to make. I am never sure if I should try and bring something warm and in return have to keep it warm. Do I just grab a bag of chips? Oh what to do. Well, this is the appetizer that fixed all my woes. 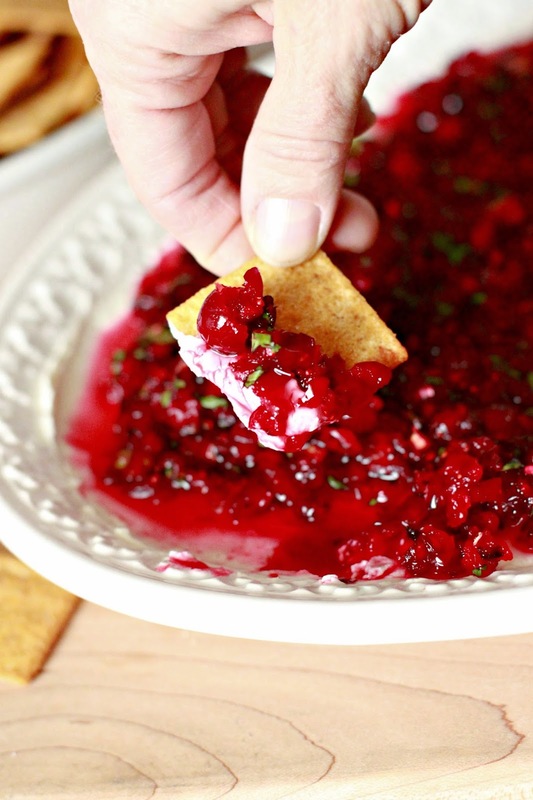 This Cranberry Cream Cheese Dip is by far our favorite holiday appetizer. The prep is fairly easy. Chop, mix, and let it set overnight. Then put it all on top of a layer of cream cheese. Then you just dig in and eat it with some crackers. 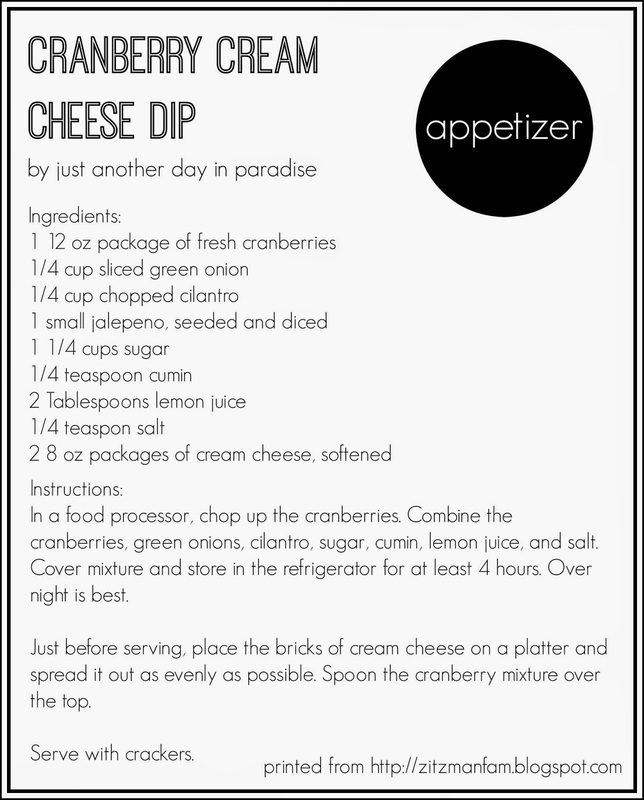 This dip has been a hit every time we have made it. The next time you have an appetizer assignment for a party, bring this and all the guests will love it and will henceforth declare that you be the bringer of the appetizers from that point on. 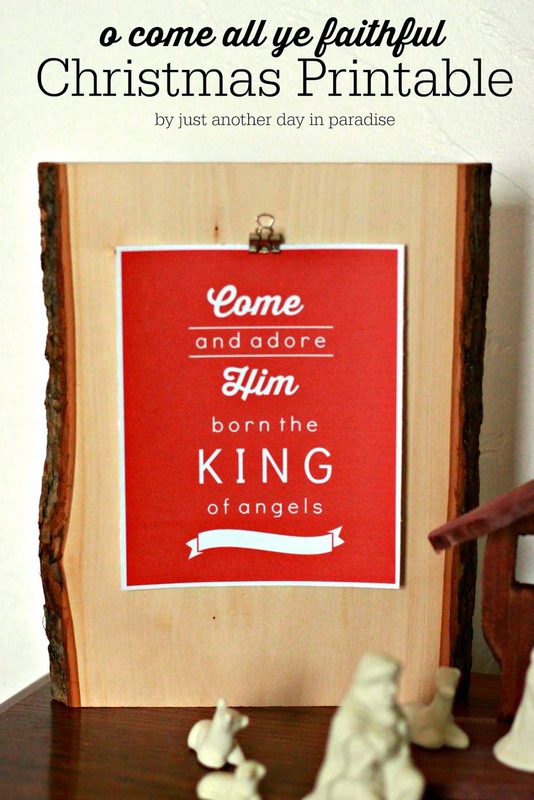 I am sharing this really simple Christ-centered Christmas Printable with you guys today. 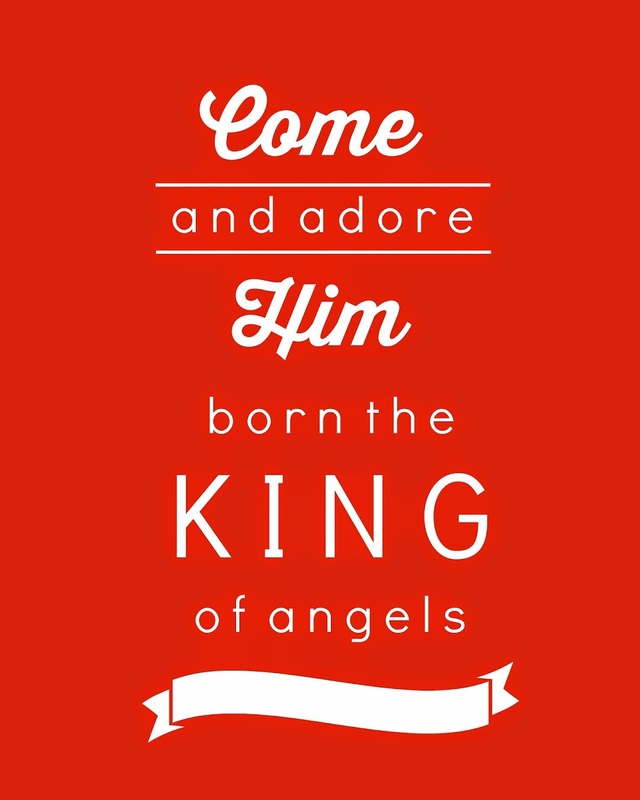 One of my favorite Christmas hymns is O Come, All Ye Faithful. I took just one phrase from the hymn and made a printable. 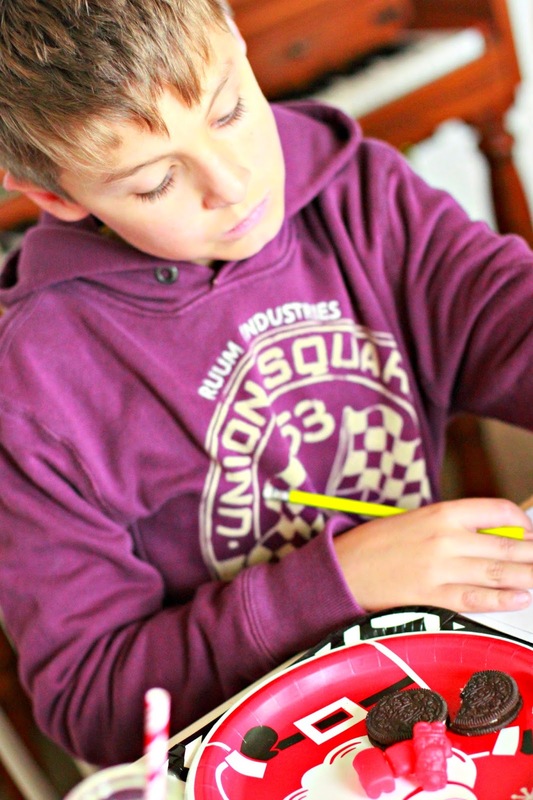 I used Picmonkey to make this printable. 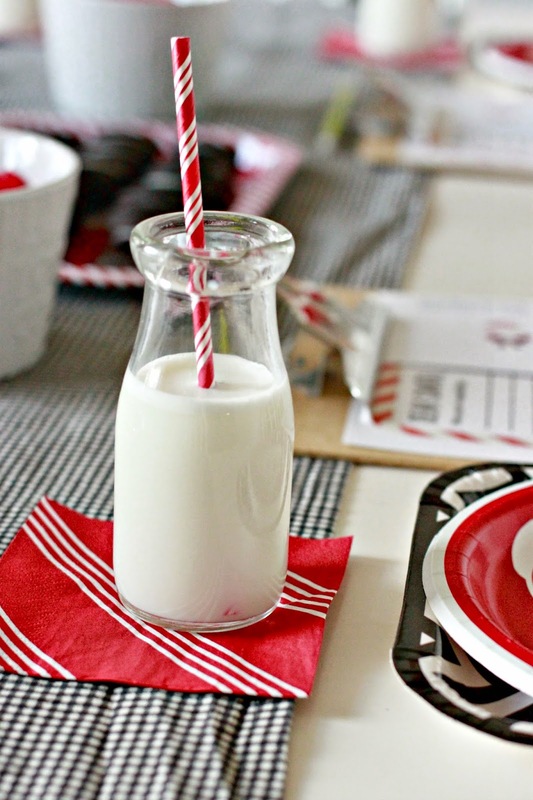 I made a traditional red one for our home because the primary holiday color we use. However I made three other color options. I also made the Christmas print in black, gold, and turquoise. Just right click on the image and save it to your computer. Then you can print it off in the size you want. Hope that this can find a place in your holiday decor. I really love fun and Santa themed decorating, but I also know that the real reason we celebrate this wonderful holiday is to commemorate the birth of the Savior. I am trying to get better about also including some decorations that represent Him.